The images of teenager Kendall Jones posing with dead animals have taken the internet by storm, sparking disgust and outrage. However, the practice of trophy hunting, or, worse, canned hunting, is not at all limited to Kendall. A quick Google search of phrases like "big game safari" and "trophy hunt Africa" will lead you to dozens upon dozens of services that, for exorbitant amounts of money, will allow you to go to reservations in Africa and hunt wild animals for sport. 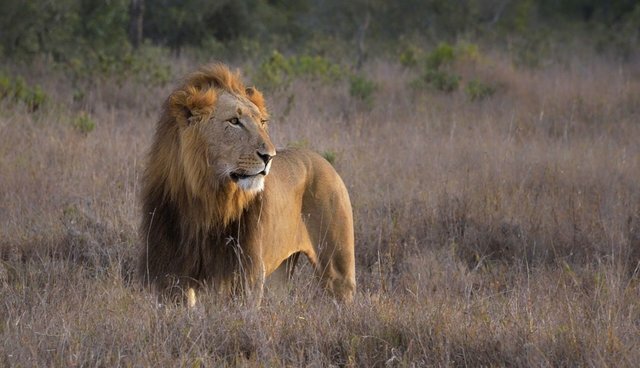 Trophy hunting particularly glorifies the "Big Five" group of animals consisting of lions, elephants, cape buffalo, leopards and white or black rhinos. Once the animal is killed, the tourist generally poses for a photo with it, which can easily be found with a few clicks on the safari websites. Afterwards, he or she can have the animal skinned, stuffed, shipped home, however they'd like to display their kill. Canned hunting is very similar, except the animal and the heavily armed human are placed together in an enclosed space, ensuring the animal's death. Obviously inhumane, repulsive to anyone who cares about animals, and damaging to the ecosystem, what can be said for the industry? Economic value is often cited in defense of trophy hunting, however, its true contribution is negligible. A 2006 study called "Economic and conservation significance of the trophy hunting industry in sub-Saharan Africa" (Lindsey et al.) found that the industry is worth about 200 million dollars, an oft-cited statistic to demonstrate the value of trophy hunting for the economy. However, they go on to say that "trophy hunting is most significant in Botswana (0.13% of GDP)." So, where trophy hunting is the most important, 99.87 percent of the GDP is sustained without it. Furthermore, couldn't the industry eliminate the hunting aspect and stick to visual safaris? Kenya is an example of a country where the outlaw of trophy hunting has not significantly hurt the economy, and where ecotourism is a fine source of capital. Another argument for trophy hunting is that its proceeds go to conservation. Even if this is true, which many studies suggest it is not, it clearly doesn't really help, seeing as the population of certain African animals has been in steady decline for decades now. Trophy hunting is just one cause of the dwindling of African animals. Ideologically, it might be the only one. These kinds of cruel sports and objectification of animals allow humans to believe they are entitled to animals' lives. If we can shift the perspective to respect for animals, we can begin to coexist with them, for, as much as we are part of the earth's ecosystem, so are they. Is that not enough for their lives to be worth more than human pride?